Here’s a rare unit that is full of great features and massive flexibility. 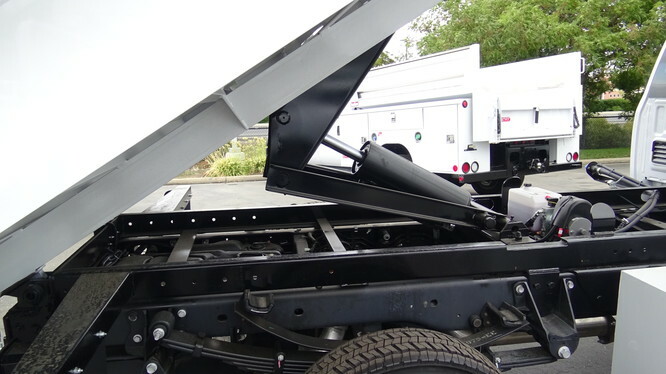 This is a service body with a dump insert, so you can move material from one place to another and carry tools, and parts along with you. Everybody needs a dump truck from time to time and here’s a great way to have that power with you. 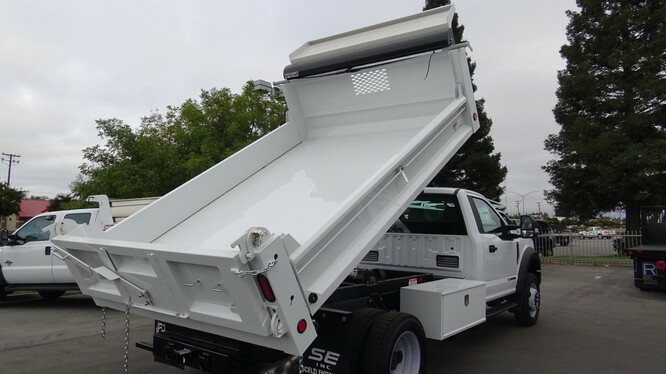 And, because it is mounted on an F450, the dump has substantial capacity. This 4×4 Crew Cab F450 has a 6.7 PowerStroke diesel engine mated to a 6-speed HD transmission, 4.10 limited slip rear axle, 16,500 lb. GVWR, electronic shift-on-the-fly 4-wheel drive, trailer brake controller, Sync voice activated systems to keep your hands on the steering wheel, tilt wheel, cruise control, AC, Skid plates, spare tire and wehll, and more. 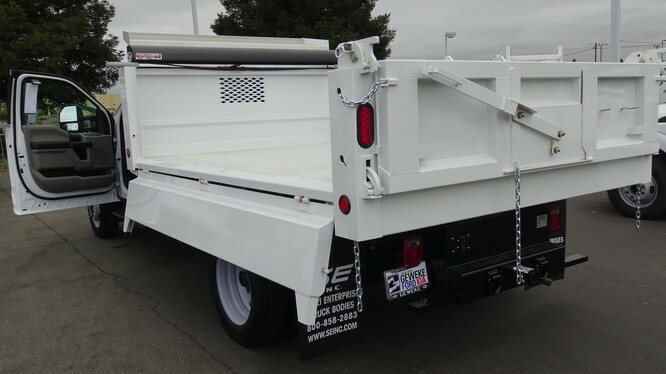 The body is a Reading service body and this package is a TruckCraft TC-300 combination service body and dump unit with 3-cubic yard maximum capacity, and many more features. While it lasts. This is one of a kind. VIN #GEB77760, Stock #38873, Cargo Capacity 5,740 lbs. Call Paul Brown for more details at 530-682-7693.